Extra Large expressive Elijah cup centerpiece. a tall standing oversize impressive show piece to beautify your Passover table. 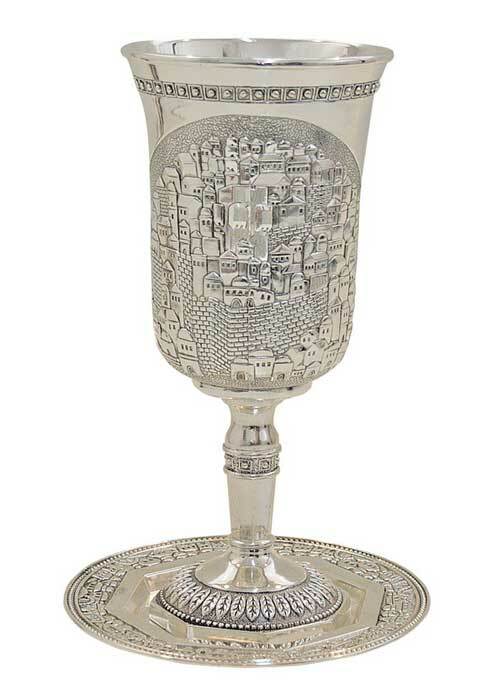 The upper body of this cup and tray is designed with an extensive Jerusalem scene, giving it even more meaning for a prominent Passover display. An Elijah cup is as staple Passover Seder table necessary, it symbolize our wait for the ultimate redemption that be called by Prophet Elijah. A perfect item to own and to give.